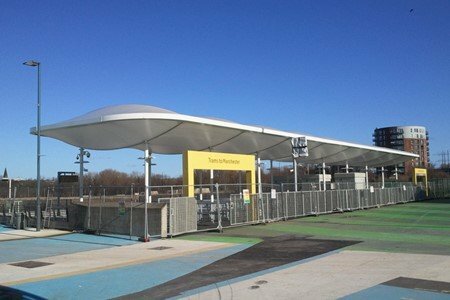 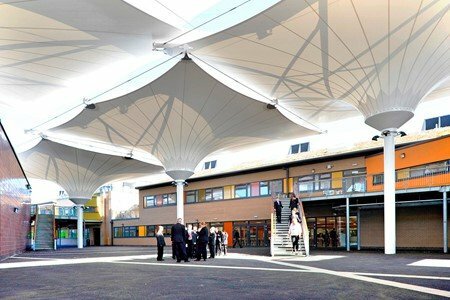 The Bulwell Academy consists of a series of buildings interlinked with eight of the UK’s largest Inverse Conic tensile fabric structures. 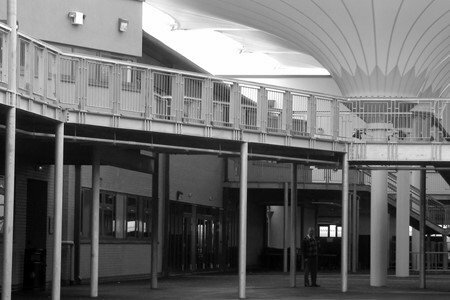 These structures cover a courtyard creating a ‘town square’ also used by the community. 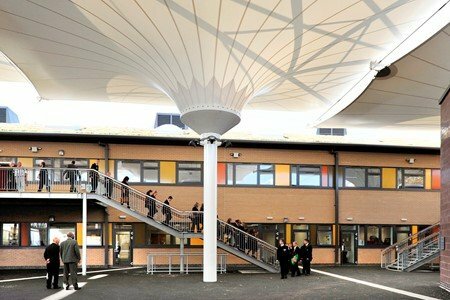 As part of the school’s sustainability strategy, the Inverse Conics are designed to harvest rainwater. 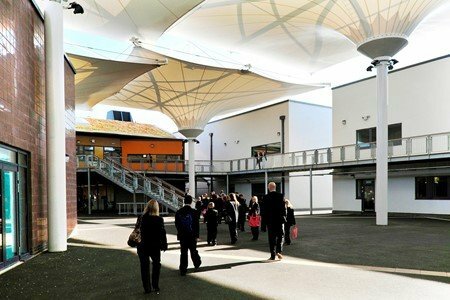 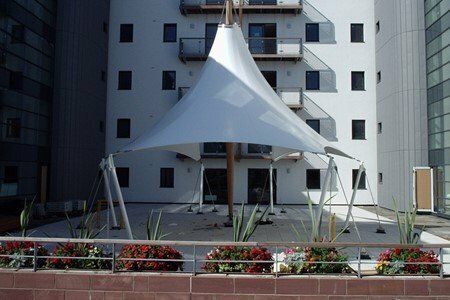 The challenge was to design a series of tensile fabric structures that would completely cover the schools courtyard, allowing staff and students to move freely between buildings all under all weather protection. 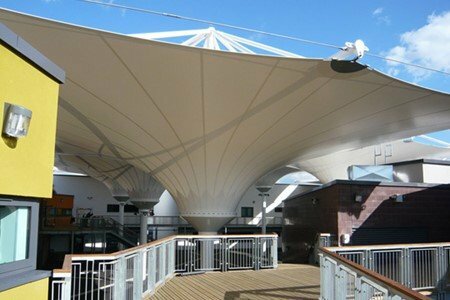 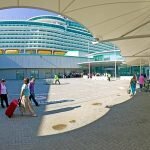 In order to not make the courtyard feel dark, the fabric structures needed to oversail one another, letting in an abundance of natural sunlight. 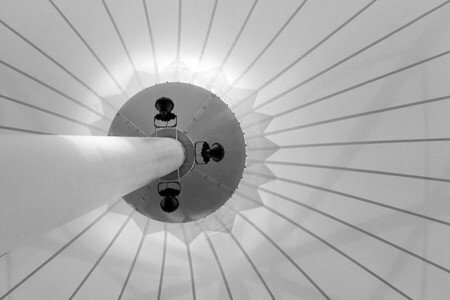 The strict sustainability goal of rainwater collection led to the design of the Inverse Conics. 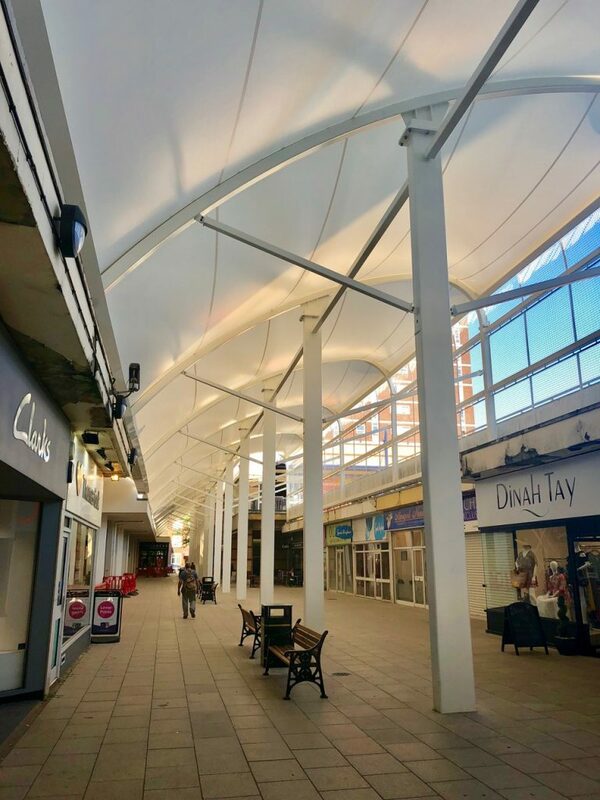 A series of bespoke Inverse Conics (2no 24m x 16m and 6 no.18m x 16m) were designed, patterned, engineered and installed between the eight buildings. 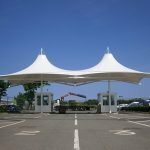 The total coverage is 2,496m2. 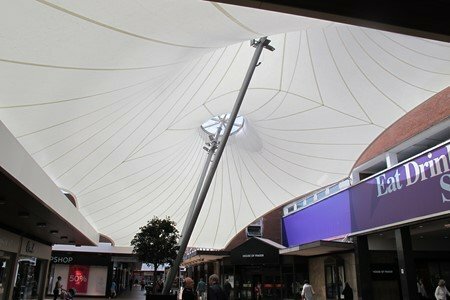 Each fabric structure has integrated lighting and is patterned in a way that created ‘crown’ like visuals for each mast. 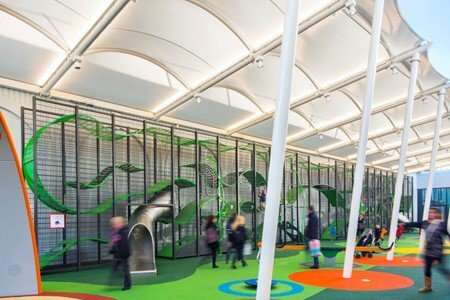 Interior classrooms were maximised by moving circulation routes outside and covering them – creating a multi-purpose courtyard.